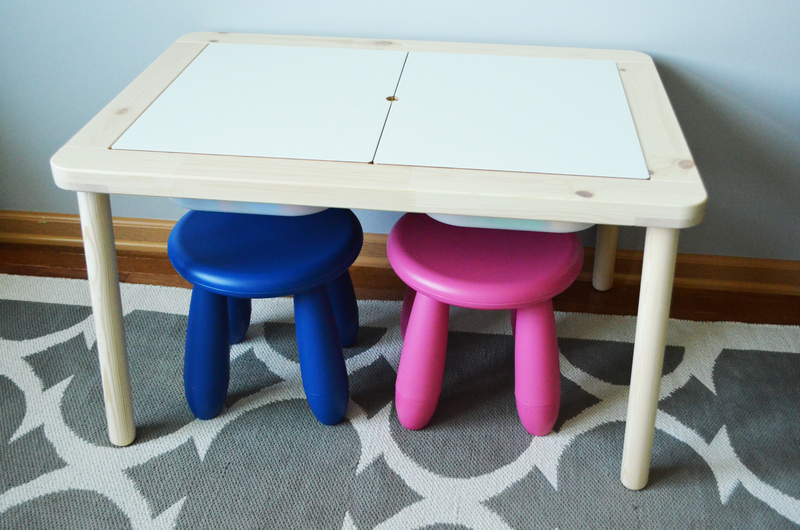 This was probably one of the easiest IKEA hacks I have ever done! Not to mention, this D.I.Y. 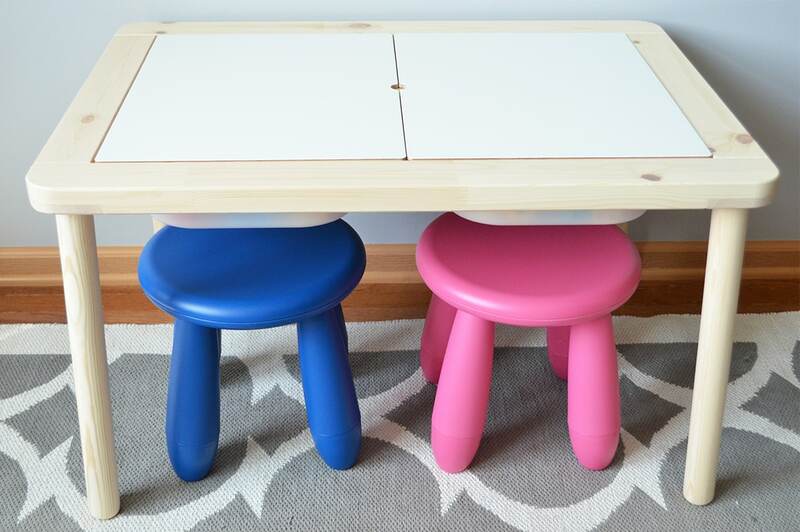 Lego Table is a genius way to hide all those tiny pieces for when they are not being used (hardly ever in my house, but still). Command Medium Mounting Refill Strips Only a few simple steps to adjust these base plates so that they can be stored and used for the LEGO Table. I used a box cutter and scored the corners, only removing two pegs from each board. You need to round the corners, cutting as close to the other three circle pegs and the base plate will fit perfectly inside the bins. 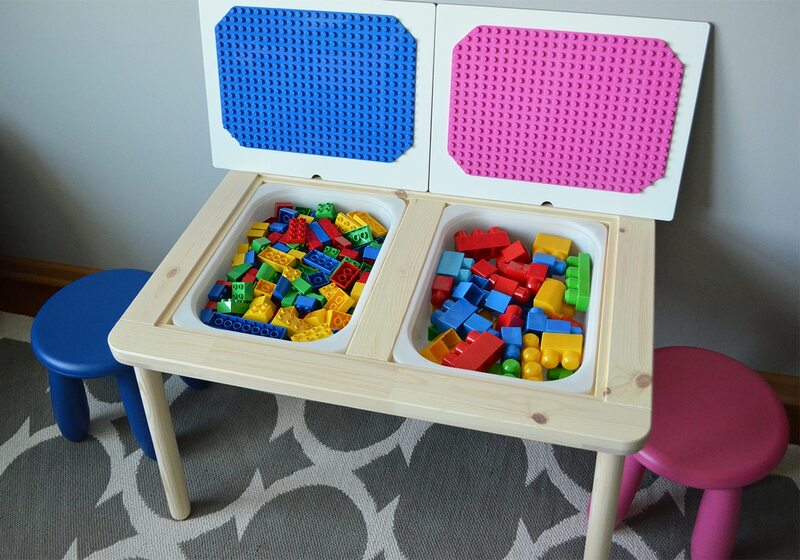 You can show off The Best LEGO Table as a LEGO table, hide the base plates by flipping the tops over, use large or small bins depending on how many LEGO’S you wish to be accessed at all times and use the table for a multitude of functions other than LEGO’s. 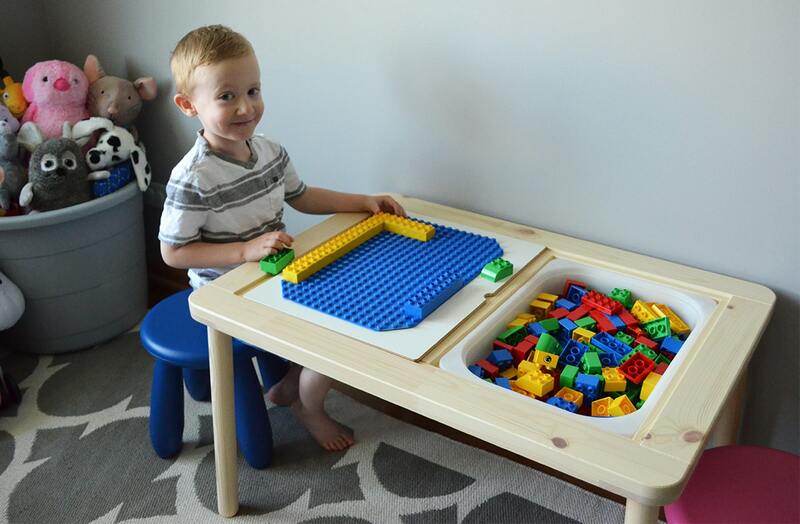 The best part you can start with MEGA blocks and work your way to Duplo’s and last convert it for traditional LEGO’s use, this table grows with your child’s needs thanks to Command Mounting strips. I mean look at my little’s pictured below playing together, enjoying each others company and even better, NOT FIGHTING! 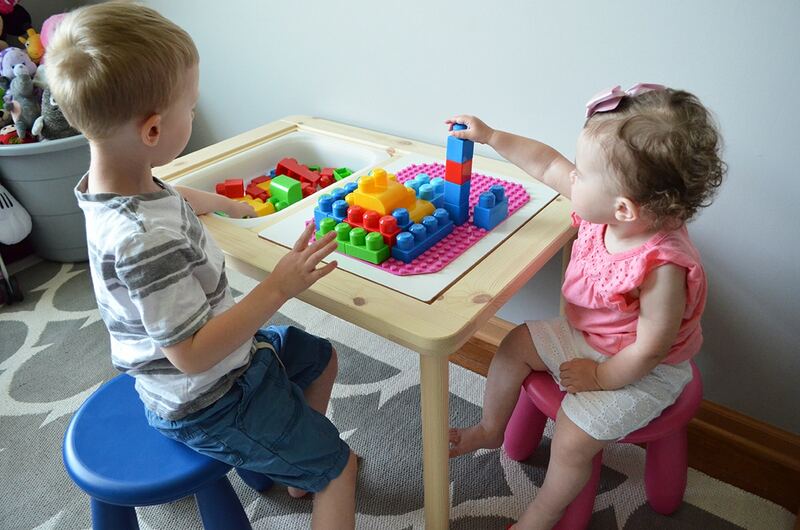 The kids love their Lego table, but when they are done they also love cleaning up and hiding all the pieces to then play kitchen, placing out their toy plates and dishes.